In the event of serious misconduct on the part of the employee, employers may dismiss the employee with immediate effect. 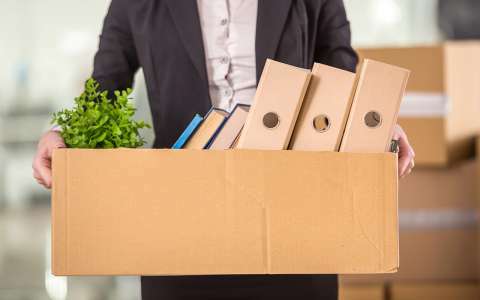 In principle, from the day where the employer became aware of the serious misconduct, they have one month during which the dismissal with immediate effect can be justified. They do not have to pay compensatory benefits nor to provide a severance package for this type of dismissal. Businesses with more than 150 staff are required to summon the employee to a pre-dismissal interview. As is the case with a dismissal with notice, the summons must be addressed by registered mail or submitted in person to the employee in return for a receipt, at the latest within one month from the day the serious misconduct was known. the possibility for the employee to be assisted by another staff member of their choice or by a representative of a trade union which is representative on national level and represented in the company's staff delegation. The pre-dismissal interview may take place at the earliest on the 2nd working day after the summons was sent/submitted. After the interview, the employer usually decides whether or not to dismiss the employee. by handing the letter to the employee in person who in return must acknowledge receipt. and the circumstances which were of such a nature to be considered as a fact of serious misconduct. Employers can also place the employee on immediate gardening leave pending the notification of dismissal. During the period of gardening leave, employers are required to continue to pay the salary and any other compensatory allowances to the employee. Furthermore, the employer can, under certain conditions, request their employee to reimburse the expenses for continuous vocational training incurred by the employer. duly justified absent employees due to sickness or accident.